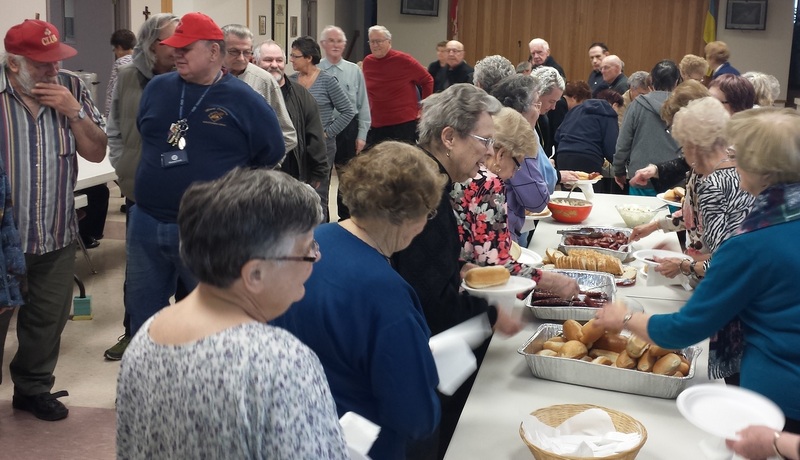 Holy Eucharist Parish hosted a Neighbourhood Barbeque as one of Winnipeg’s events for the 2014 National Week for Life and Family. The Barbeque was planned to be held outside next to the church building. However, cold windy weather forced the event inside. After everyone had eaten well and had settled down with some sweets and cup of coffee, invited guest speaker, Claudia Kudryk-Serray, shared some insights from her expertise and experience with palliative care. Many of the people present could relate to the stories that Kudryk-Serray used to demonstrate the needs of both the dying and of their family and friends. A question period followed. Parishioner Dr. Sam Hrushovetz shared a moving personal story of his experience when his mother passed from this life.